I have had this patchouli-, jasmine- and rose-driven shower gel for a while and always opted for my Coco Noir shower gel over this one when push came to shove. That changed this past month when I was instructed to consider switching to baths on occasion for the muscle-soothing benefits. I added a liberal drizzle of this ultra-fragrant shower gel to the tub and was rather in love with the end result: tons of bubbles and super-soft skin. If you know anyone who digs this scent - and chances are you do - this (or any Chanel shower/bath gel) makes a great gift. Stepping away from the '90s lip is easy when you're switching to something this spring-y and pretty. I've had the original Lip Glow for years, glazed over the Coral version that launched a while back (I kind of hate coral cosmetics, it's a thing) and didn't think I'd really care for this Lilac version until I saw it on Sabrina. That was when I knew it could be a no-mirror, swipe-and-go lip colour that I could really get into for daily wear. Like its previous iterations, this lip balm reacts to your natural pH levels, developing into a custom shade once applied. It's not overly cool-toned so it looks surprisingly flattering on me, even with my lips being as pigmented as they naturally are. The formula contains mango butter to keep lips hydrated and smooth with each swipe. This was a pleasant surprise when I opened a well.ca order the other day. A 30-mL tube of this stuff was sent along as a free sample and I was pretty tickled by that; well.ca will send you a full-size product when they note they're including a sample in your order, meanwhile sephora.ca will include a sample sachet of something if you spend a minimum of $35. Go figure. Anyway, back to the product. This multipurpose cream can be used just about anywhere on the body, but note that it is thick and greasy, but it will revive your skin in a major way. Once it absorbs, it is exactly what windburned skin needs. Skin Food is not just a clever name; lanolin and organic pansy are powerhouse nourishers. I'm super happy to have discovered this for the dry, freezing days we've had this month. Frankly, I'm at a point where I cocktail 6 products together to apply to my wet hair...and that's after I've shampooed my hair about 4-5 times (reminder: I only wash my hair once a week), playing mixologist in the shower and using multiple formulations for colour neutralizing (I curse the day I thought highlights would be a good idea), smoothing, hydration, curls and shine. 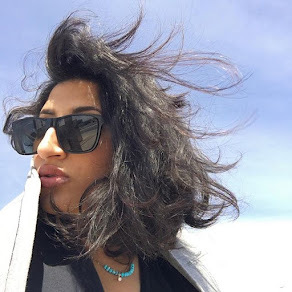 I'm anything but simple when it comes to my haircare routine and it's led me to have a generally experimental attitude towards trying products. I saw Janine rave about this product in her 2015 favourite discoveries post, and I'm late on this product as it's been around for a while, but it is really good. I spray it onto my damp hair and then follow up with styling products (all 6 of them), and the results have been softer-than-ever hair that behaves better overall, even when facing the woe of static electricity. 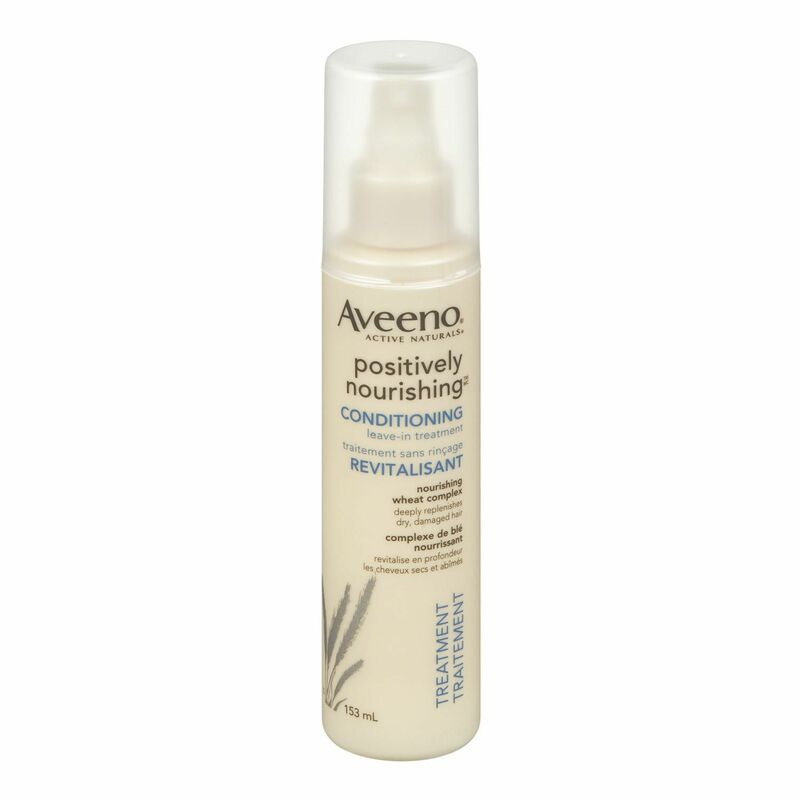 The first time I tried this product, my hair was silkier than usual and I was so happy to realize that this leave-in conditioner made such a positive difference in my 'do. I believe wheat germ oil and wheat proteins can be praised for their hair-softening and strengthening properties. Huge love for this drugstore find, which eases the sting of being otherwise addicted to all things Shu Uemura, Davines and Oribe when it comes to my hair regime. While it's slightly frowned upon to give any particular brand more attention than another on most blogs out there, I don't really care for this rule; I am picking favourites after all. When I first tried this foundation, I was sort of on the fence about it. It offers up light to medium coverage and a very natural finish, both things I feel I can get into. The real snag was that I tried it right after the holidays aka a stretch of time that entails me existing in full-coverage foundation (shoutout to Guerlain Tenue de Perfection, which actually *is* perfection in a bottle), so to see my actual skin was oddly jarring. After giving this foundation a whirl for the last month, I can very safely say the coverage is really lovely for daily wear and it really does even things out just enough for polished skin without veering into that "nice foundation" territory (Note: surely we can all agree it is always preferable to have someone compliment your skin vs. your makeup...right?). 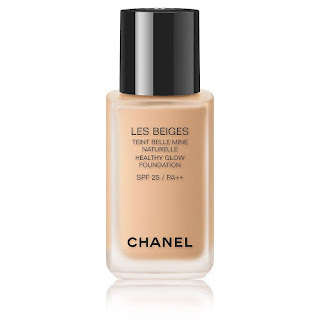 Related sidebar: This foundation is slotted to replace Chanel Les Beiges All In One Healthy Glow Fluid, which is a wildly different product in my opinion and experience, so if you were ever a fan of that lovely stuff, grab a backup or, you know, live in the now. Truth be told, I'm mildly obsessed with all Charlotte Tilbury skincare, from the Multi-Miracle Glow (a dry skin Godsend) to every form of Magic Cream the brand has churned out. Magic Night Cream is dubbed a "cream elixir" and I guess I'll go along with that, as it isn't really a cream texture, but rather it occupies a space between a cream and gel...yet I wouldn't classify it as a gel-creme. Whatever! The point is it's an unusual texture that you can certainly feel on your skin. Another review I read of this night cream referred to it as a veil that sort of seals in the rest of your skincare efforts of the day, and I'm inclined to agree. Two very superficial dabs will do it for your whole face; applying any more than that will be overkill. I find this cream leaves my skin soft, hydrated and plumped with no flakes in sight - a milestone achievement for any skincare product in my books. The formula contains time-released retinol (I still layered my own retinol underneath because I'm brazen like that), winter daphne stem cell extract (apparently known for its firming properties), vitamin E, red algae and a bunch of other bits that feel semi-silly to type about (looking at you, "bionymph peptides"). This cream has a light frangipani scent that I don't mind, but I'm sure anyone averse to fragrance in their skincare might! 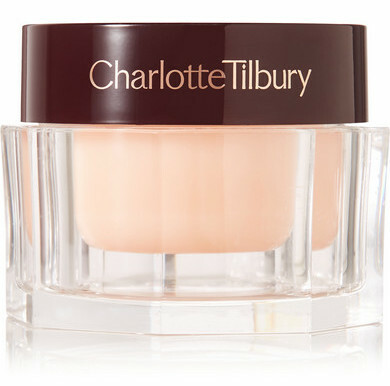 I think I need to get some Charlotte Tilbury skincare!!! Really am interested in getting the Magic Cream and Magic Night Cream.